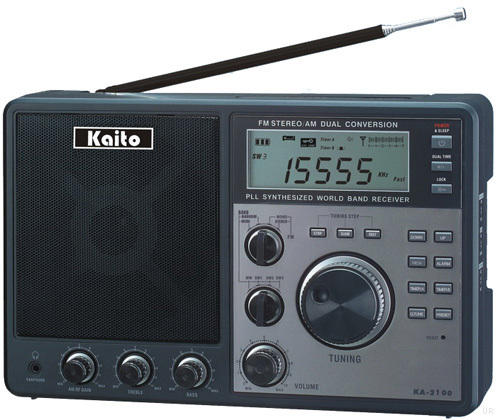 The Kaito KA2100 is a dual conversion portable radio covering longwave, AM, shortwave and FM. Shortwave coverage is continuous to 1700-30000 kHz. The radio has pleasant audio with both Bass and Treble. The controls are very easy to use. The FM band supports stereo to the mini earphone jack on the front. The KA2100 has a clock with timer. Both the display and the keys are illuminated for easy night operation. 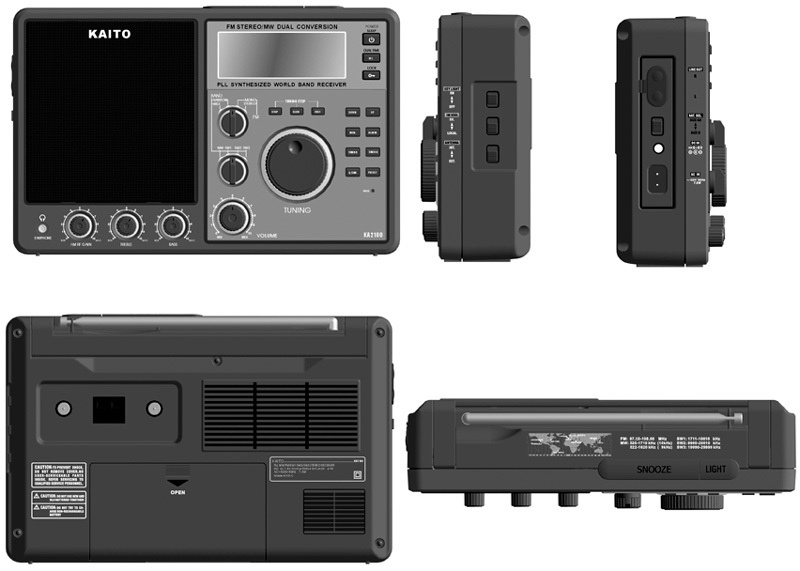 This radio operates from AAs, Ds or AC. Two tuning speeds are available. A Local-DX Sensitivity can be found on the right side. (No SSB). The KA2100 comes with an AC cord, Owner's Manual and two KOK PAL antenna plugs.